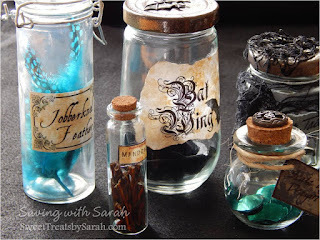 Sweet Treats by Sarah: Harry Potter Potion Bottles DIY + FREE Printable! 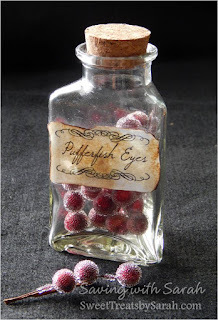 I've finally started the Harry Potter DIY Christmas gifts for my daughter. For the tutorials, I'll begin with the Potion Bottles because they are easily adaptable for Halloween. There really is no wrong way to do these, so give it a try and have fun! For my daughter's set, I'm going with mainly ingredients vs potions. There will be a potion book to accompany the bottles later and I want her to be able to pretend to mix up her potions. What ingredients to use? There is an extensive list of Harry Potter potion ingredients here and most of them have descriptions to help you when deciding what to add to the bottles. I purchased a few of the cooler bottles, but all for $1 or less. I also re-purposed several bottles I had on hand (bath and body works candles, food jars) and I bought a few mini wines, champagnes and shots at the liquor store (yes, I drank the contents - I do what I have to do!). Here are some of the bottles I purchased (these go on sale often): 3" with cork, square bottle, heart bottle, I actually found one bottle pre-filled with little wish bones at Hobby Lobby! I had a difficult time finding free labels for the ingredients I wanted to use. Let me be clear, a google search will pull up oodles of labels, but that does not mean they are free! Many of them are meant to be purchased from the creator on etsy and such. Hey, if you don't mind spending a few bucks there are LOTS of nice labels to be purchased. For me however, I decided to make my own. I printed them on regular printer paper, aged them with tea bags, and burnt the edges. I also opted to hand write a few of them. 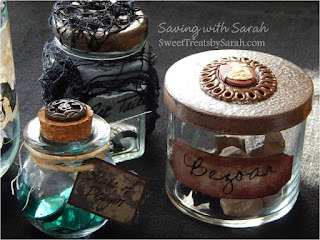 I attached the labels using the glues I had on hand (mod podge, diamond glaze). You can download the Harry Potter Ingredient Labels I made for FREE here! I really wanted my daughter to be able to play with these. That meant no liquids and contents that aren't too messy. 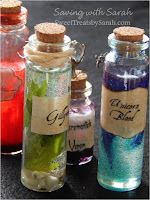 You'll find that many of the online tutorials for Harry Potter Potions use Elmer's Glue. While they look very nice, they aren't good for "playing" or keeping to decorate year after year. 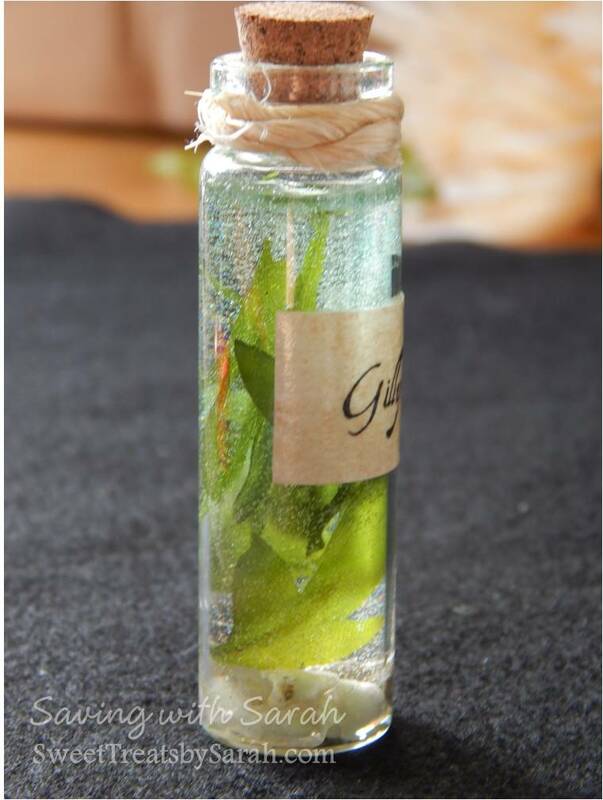 The Elmer's Glue won't dry all the way thru and you'll need to seal the cork/lid to ensure the liquid won't ooze out. That being said, these video tutorials are great for reference, and the resin feels much like glue while you are working with it. For the liquid filled bottles, I used EnviroTex Lite. This is a 1:1 resin that cures hard and is permanent. This is by far the most expensive part of this project. You can buy it at Michaels or Hobby Lobby with your paper or online coupons to save a bit. The best part about this is that it basically looks cool and lasts forever. 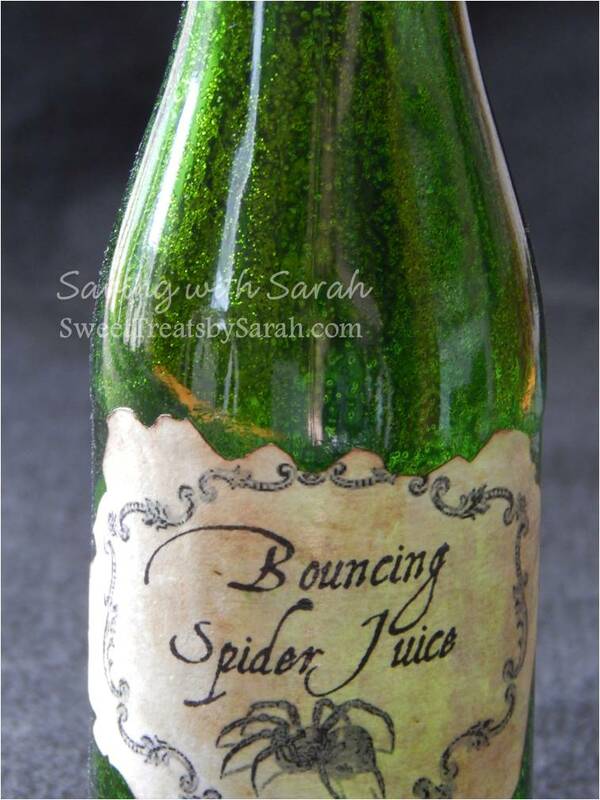 Your child can take the cork off the bottle and pretend to pour it into their potions without any mess. 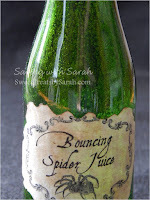 Tip: Since this is expensive, use the smaller bottles for "liquids" and be sure to mix small amount to reduce waste. 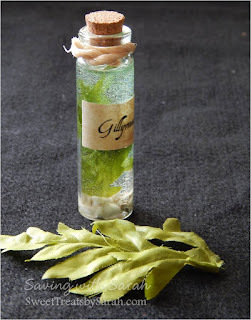 Dragon Blood - Food coloring and glue to give it an opaque appearance, Unicorn Blood - Food coloring and glitter, Gillyweed - small stones from my path and leaves from fake floral, Acromantula Venom - just a little food coloring. Mermaid Tears - Table Scatter, Bezoar - Decorative Stone, Rat Tails - I cut them off a package of Dollar Tree mice, Bat Wings - cut off a pkg of Dollar Tree bats, Pufferfish Eyes - Cut the berries off a holiday stem, Mandrake Root - cut fake stem pieces, Flutterbloom - middle of fake floral, Jobberknoll Feather - blue feathers, Spine of Lionfish - cut fake flowers and colored with sharpie, Bouncing Spider Juice - coated the inside of bottle with glue and sparkles, Belladonna - small beads, Scale of Dragon - large sequins. Anything goes here. I used a combination of paints, glues, twine, charms and various leftover crafting supplies to decorate the bottles and lids. This post contains affiliate links, which means that I may get a commission if you decide to purchase anything from suggested companies. 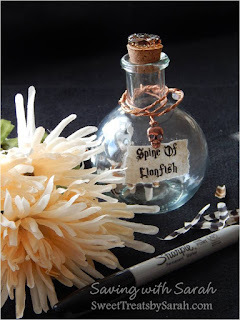 My next tutorial will be for the Screaming Mandrake Root! Be sure to check back soon. These look awesome. Some of the best I've seen on pinterest and the net. Thanks for sharing! Do you make any to sell? No, I'm sorry I do not sell these. I believe I purchased them at the Dollar Tree. 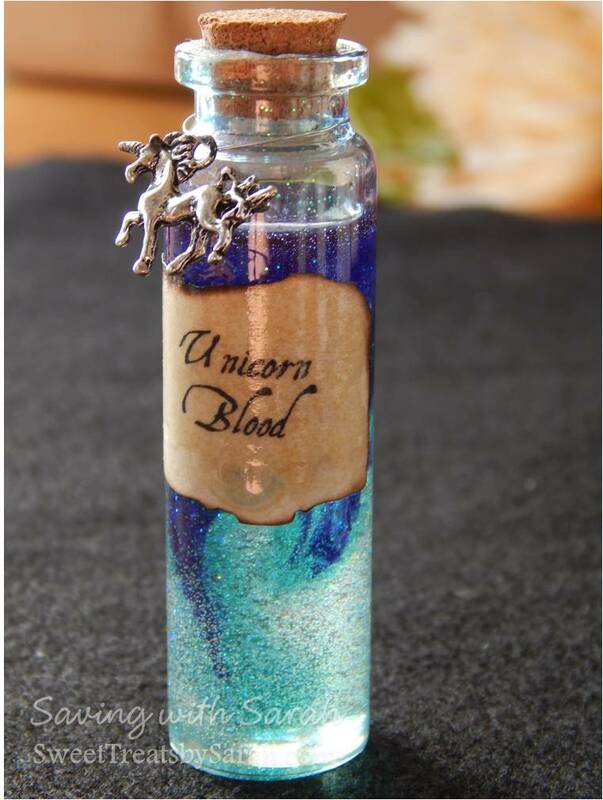 *cough* unicorn blood is silver *cough* sorry, i'm just a die hard potter fan and that would have annoyed me. 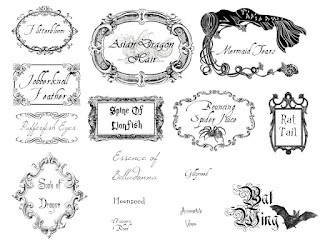 but other than that tiny detail these are gorgeous and really well done! the labels looks fantastic! 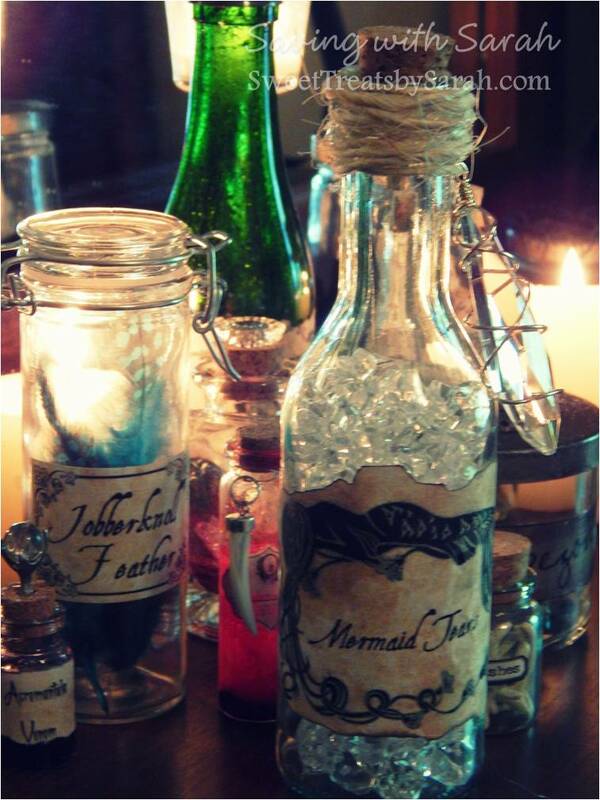 we are doing potions for halloween as part of our harry potter halloween party and i really like your idea. but how did you make these with the EnviroTex Lite? do you put your glitters and paint in then pour the stuff on top? 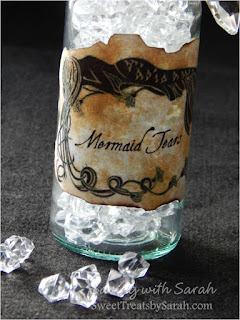 I added the glitter right after pouring and mixed gently with a toothpick. I used a little bit of food coloring, but I believe a water color based paint would work just as well. Do you let each layer dry before adding another color of glitter? 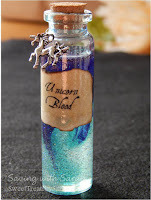 Could you by any chance post directions on how to add the glitter/coloring/paint to the resin? Thank you. Nice of you to share your hard work for free. Thank you for sharing and having it free. Great work!! This is kinda exactly what I am looking for. 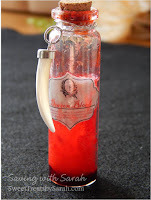 Those video's were helpful, although I have normal sized bottles so I will want to x3 the mixture I guess. 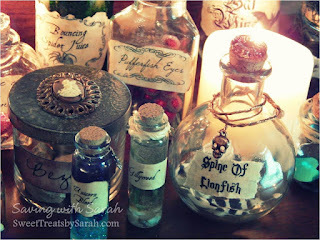 Thanks so much for including my potion printables!! You're the best! Thank you so much for making amazing printable and sharing them with everyone! This is a great idea, i only have one question. 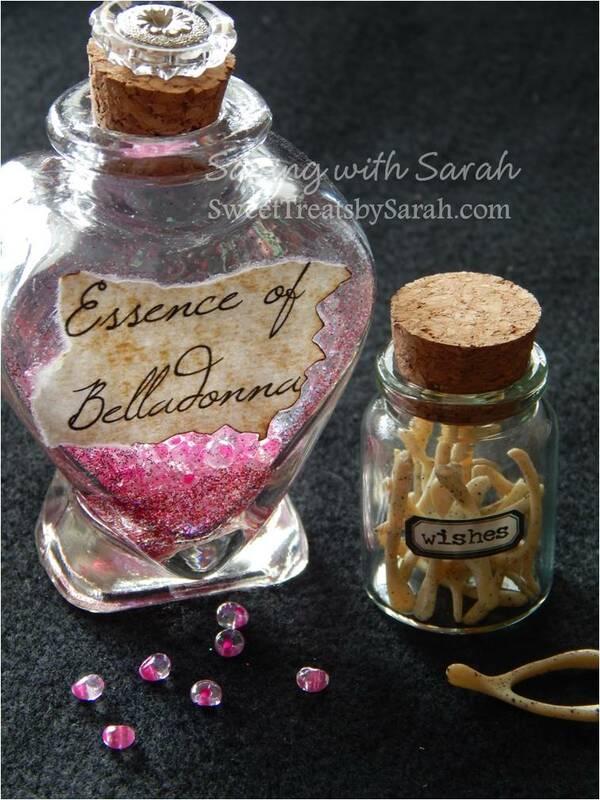 What did you use for essence of belladonna cos I cant figure out what it is and how to purchase them. Over all, LOVE IT! I glued some glitter inside the bottom of the jar and then added beads! I love it! 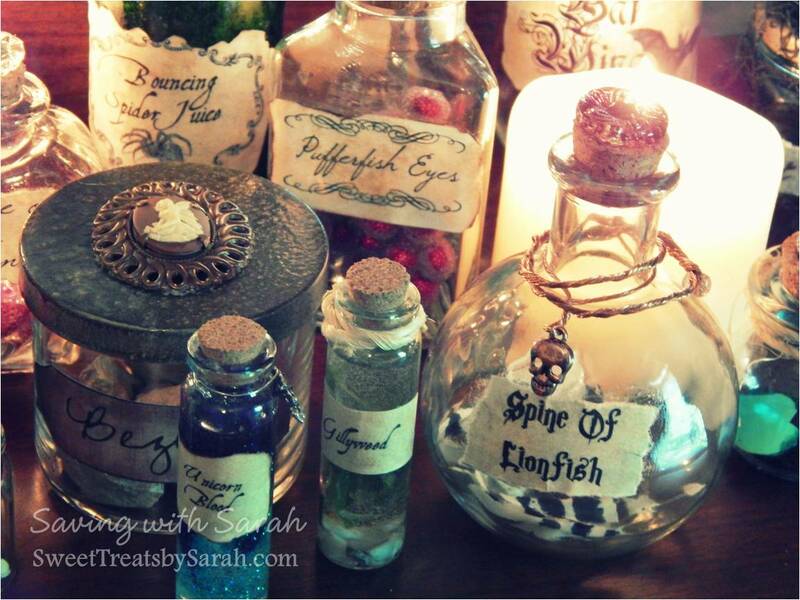 I'm a huge Harry Potter fan and would love to use these sometime. Due to the reality and the demand for clean water for the life of the technicians, the staffs of Viet Phat Company have surveyed, studied and installed successfully industrial water filter systems of all kinds suitable for meeting the demand for clean water. It is a good source of information, people should know more about this site, share it with others, I would like to discuss it too, thank you for posting this post. This really helps a lot. This is really a great and useful article for me, I think it is also very necessary for many people, we should visit it regularly. Good Blog with Fantastic variety of Kilts and other necessaries. Keep continue such kind of efforts. People should know more about your article, it's really great, it's worth the time to read it. 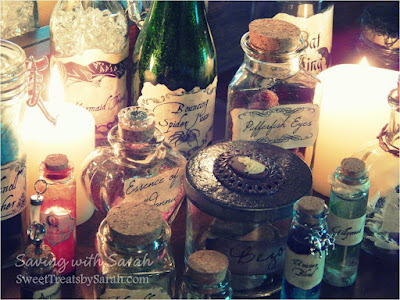 I am very happy for posting on this blog on how a great spell caster helped me to bring back the love of my life. I know there are lots of women like me out there who has done so much to have back their Husband, I am here to tell you the answer is right here. I sincerely believe if there are up to five spell casters like Dr. Oduwa this world would be a better place, I have seen people complaining on how fake spell castes promised to help them but couldn't. 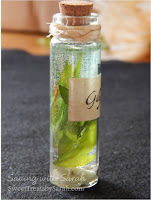 with Dr Oduwa I tell you your problem is already solved because i experienced alot when my Husband and I had been apart for 4years and I couldn't bear living without him, I have tried everything to have him back but nothing was working until I saw numerous testimonies about a spell caster call Dr Oduwa on how great his work is. I contacted him immediately and follow the step that he ask and in the next 48 hours my husband called me and was eager for my forgiveness and that he wished nothing more than to have me in his arms forever. I filled so much joy and happiness that I found Dr Oduwa. I hope you all here will find this testimony of mine and get your husband back in just 48 hours Oduwa contact is droduwaspellhome01@gmail.com you can also call or whatsapp him on +2348136354191. I like your way to describe every point. Share Market Company . The author of this post is admirable, it brings a lot of emotion to everyone reading it, let's share it more widely. Great Thoughts Get it wear kilt for a reputable company in mens leather kilt with look like a handsome guy. Great Thoughts we are offer for An ngo can avail tax exemption by getting itself registered under section 12a and 80g of Income Tax Act 1961. Most of the big corporate companies make donations to NGOs. The author of this post is very talented, I greatly admire you, hope you will succeed in the next post. 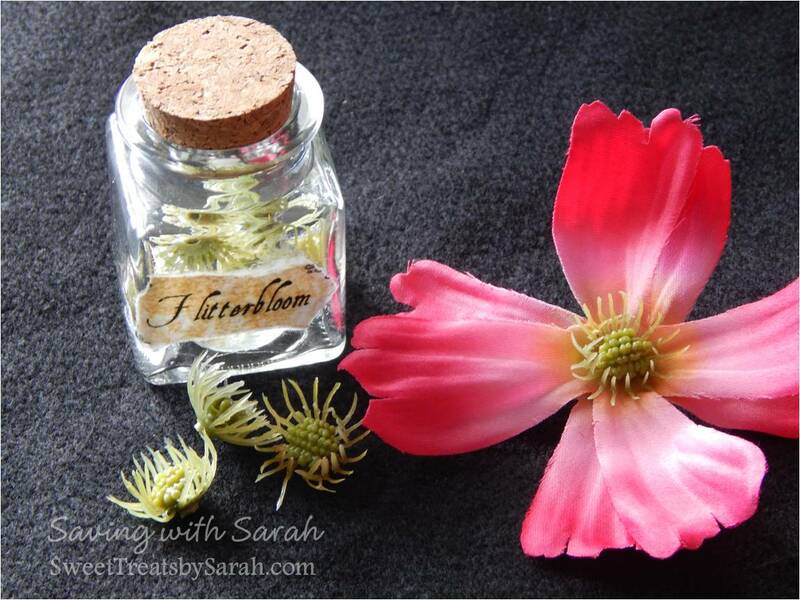 I read this blog Great article amazing information thanks for sharing..! Really nice and awesome post i must say that! thanks! I do not feel sorry for taking the time to read this post, it is really nice and useful to me, thanks for posting it. o not feel sorry for taking the time to read this post, it is really nice and useful to me, thanks for posting it. Excellent website! I adore how it is easy on my eyes it is. I am questioning how I might be notified whenever a new post has been made. Looking for more new updates. Have a great day! When I have spare time, I often read your posts.Those are what I want to know.I'm thankful if you can upload more posts later. Thanks for your sharing.